Built as part of contract 15527 and delivered to the Royal Air Force Transport Command at RAF Lyneham on 17 September 1960, serialled XM496 and named ‘Regulus’. She was taken on charge from 19 September 1960 and used within the Britannia pool from her acceptance. XM496 was withdrawn from RAF use on 27 October 1975 and stored at RAF Kemble with 18 413.45 hours and 8122 landings to her credit. XM496 was purchased by Monarch Airline’s, Airline Engineering on 06 January 1976. Converted at Luton by Airline Engineering to 253F configuration and registered G-BDUP on 31 March 1976 and two weeks later was painted in the livery of Afrek Ltd, who purchased her on 21 May 1976. She was delivered to them in Athens on 6 June 1976 with a private C of A. Later withdrawn from use and stored at Athens Ellinikon Airport, Greece. Again purchased by Aircraft Engineering Ltd on 30 July 1984 and ferried to Luton for overhaul and sold to the Cuban Airline, Aerocaribbean, in August 1984. 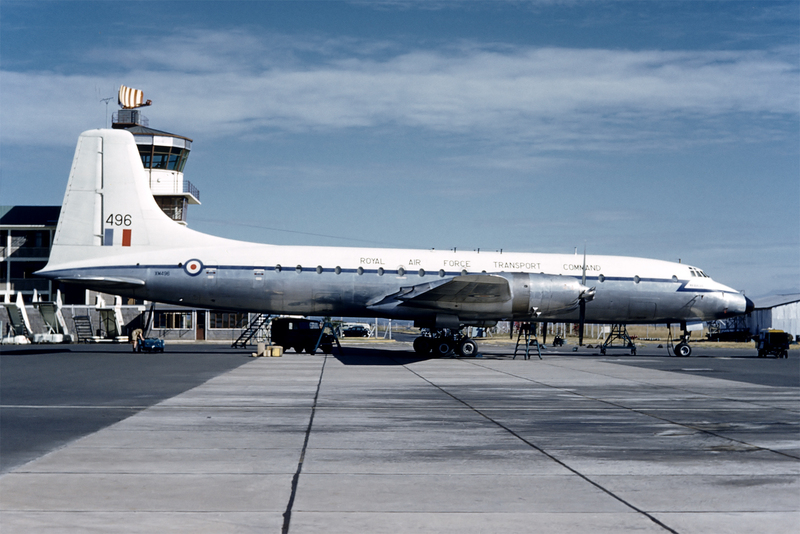 She was painted in their full livery, and registered CU-T120. CU-T120 operated her last flight on 21 March 1990 (thereby ending all Cuban Britannia operations). Whilst flying between Peru and Havana, No. 4 engine was shut down, an emergency declared and a landing made at Guayaquil, Ecuador. The following day a three-engined ferry flight was made and on arrival at Havana, she was grounded due to lack of spares. 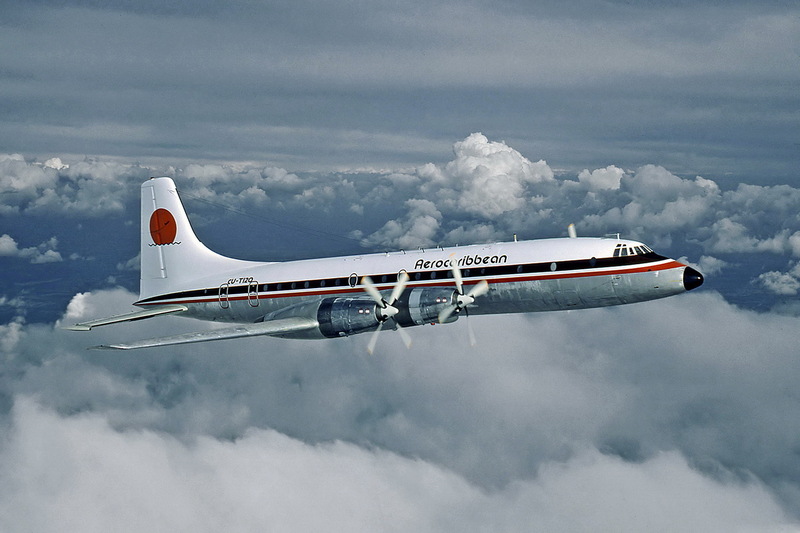 This aircraft re-emerged as the ‘Phoenix’ of the Britannia fleet as she eventually became the last airworthy Britannia following a major refurbishment in Cuba after sale to Transair Cargo of Zaire. As 9Q-CJH ‘Jack’ the aircraft was flown via the UK to Kinshasa and operated in the freight role for Trans Service Airlift Ltd. In August 1997 following a ‘rapid’ move to South Africa, she was re-registered in Liberia as EL-WXA. Her final journey was to the UK, arriving on the 14 October 1997. Following two low passes her final landing was made at Cotswold Airport, the ex RAF airfield of Kemble. There she was placed into the care of a dedicated group of Bristol Britannia enthusiasts and her future in preservation assured. The aircraft has since been repainted in RAF Transport Command livery and is preserved as a non-flying example of the only ex-military Britannia still in existence.